Chop all the ingredients in the food processor. 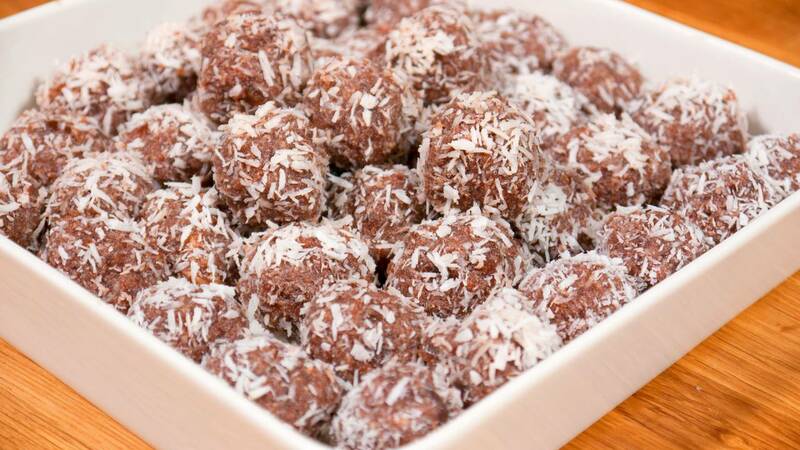 Shape them into balls and roll them in coconut. Store for at minimum 1 hour in the refrigerator before eating. Both for consistency and flavor.